Hi all I had an office then, on the east side of Foleshill Rd, where I could see this view, almost as though the camera was in CEL. Coventry's "Happy" would often wander along, complete with uniform & flat cap & practice his drill marching in the paved area, saluting everyone as they went by. Hi all, I was an apprentice at CEL from 1965 until 1970 and remember Ted Mackey, the Convener and also Ray Morton who was the Heavy Machine Shop Foreman. He married a woman who worked in the Time Office. I cannot remember her name now. I also remember Ev Watchorn who was the Chargehand of the Boring Section. Does anyone remember these people? Hi johnbettany, Found that rather amusing someone working in the Boring Section, but then I guess all companies have one. On 12th May 2018 11:37pm, johnbettany said: Hi all, I was an apprentice at CEL from 1965 until 1970 and remember Ted Mackey, the Convener and also Ray Morton who was the Heavy Machine Shop Foreman. He married a woman who worked in the Time Office. I cannot remember her name now. I also remember Ev Watchorn who was the Chargehand of the Boring Section. Does anyone remember these people? Ted Mackey's brother is a forum member . . . I remember my grandad working there!! Hi, Does anyone know what happened to Courtaulds Coventry Rugby Club - I cannot see them listed anywhere. I played for them about 1962 so they must have been formed about 1959 and were in existence when I left Coventry in 1964. Their colours were black, gold and silver and they played at their own ground somewhere in Little Heath. Their main organiser was a man who worked in the labs in Lockhurst Lane so I suspect when he retired the club folded. Here's a postcard view of the factory. 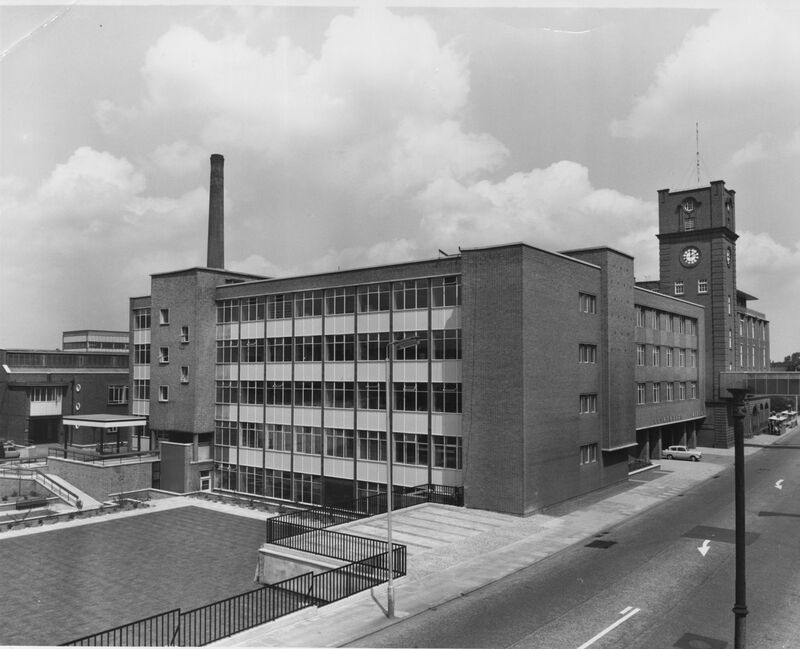 Worked for Courtaulds between 1962-1970 in the Technical Information Bureau for 4 guineas a week. These particular buildings represented office space and 3 tier canteen, bottom floor was for factory workers, second floor for office workers, third floor for directors. Food was fantastic. Three course meal for 2 shillings. The middle block is no longer there. At the far right you could just see a small building just showing which was a fully equipped surgery, it was like a mini hospital with its own cream ambulance. They still look like this today even the fencing.